You will find below information on some of the most frequently asked questions that we get asked at Chandlers Used Fendt tractors, hopefully you will find this information useful, however this is far from comprehensive and if you do not find what you are looking for, please contact us as we will be pleased to help. Where can I find the specification of a Fendt tractor ? Which used Fendt tractors are 4 cylinder and which are 6 cylinder tractors ? What is the Fendt Vario Transmission ? 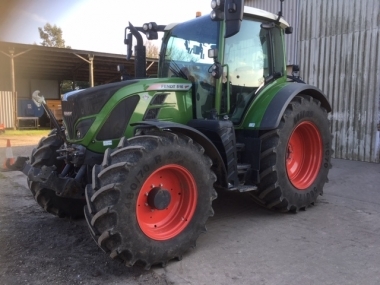 Who should I contact if I am interested in buying a used Fendt tractor ? 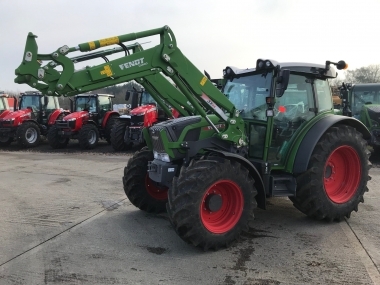 On the Used Fendt Tractors website the full range of Fendt brochures are available to download in .pdf format from all the current ranges of Fendt tractors, as well as the ranges of Fendt tractors no longer in production, but available as high quality second hand tractors. Just click on the Fendt Brochures Menu Tab, and select the model of used Fendt tractor you are interested in finding out the specification of. 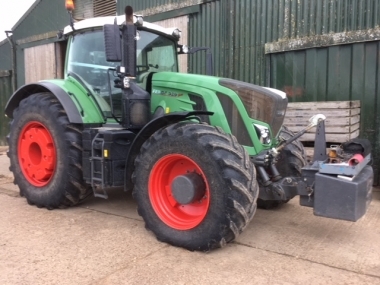 Full Fendt tractor details are provided including original standard wheels, horse power, weights and dimensions of the Fendt tractors. The Fendt 400 and new Fendt 500 tractors are 4 cylinder, the Fendt 700, Fendt 800 and Fendt 900 ranges of tractors are all 6 cylinder models. All current models of Fendt tractors are fitted with the industry leading Fendt Vario Transmission. They are '100% Vario'. The Fendt Vario transmission is the worlds most advanced and popular tractor Constantly Variable Transmission or CVT. The Fendt Vario transmission allows completely stepless change of transmission ratio from 0-50 (or 60) kph, and when combined with the Fendt TMS (electronic Tractor Management System), results in the most fuel efficient tractor in the world according to independant research by the DLG. The Fendt Vario transmission uses a beautifully simple combination of hydraulic and mechanical drive via epicyclic units to provide a shiftless and clutchless CVT. 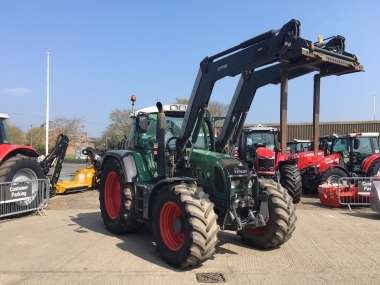 Chandlers Used Fendt Tractors has a dedicated Fendt tractors product specialist to give you the best possible service on the purchase of a used Fendt tractor. Please either phone, fax or email us with your enquiry and our Fendt product specialist will have further details to hand on our full stock of used Fendt tractors. As AGCO main dealers for new Fendt tractors our team receives the latest information and training from AGCO on all Fendt tractors and will be able to advise on the ideal Fendt tractor and specification for your task.